Not Ready to Cloth Diaper Full Time? Try Cloth Swim Diapers! Whether you cloth diaper full time or not, cloth swim diapers are a great option for all children. Over time they are less expensive than disposables, more eco-friendly, and work the exact same as disposable swim diapers. Check out how easy they are to use too! I blog about cloth diapers a lot. But I realize that they aren’t an option for everyone. For whatever reason [I could probably counter any reason you have – other than health issues] some choose not to use cloth, it doesn’t have to be an all or nothing kind of thing. That’s why I started the So Easy Being Green blog. I didn’t wake up one night and totally ditch all of my household cleaners, processed foods, disposable diapers, and all of the other “non-green” items in our house. We have taken very simple, small steps to make our home and family more eco-friendly. It all stemmed from the choice to use cloth diapers, but it doesn’t have to be your starting point. A super easy option – and maybe even a lead-in to using more cloth diapering products could be cloth swim diapers. They work just like their disposable counterparts – but you can wash, re-use, and save money! 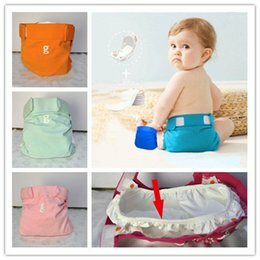 How do cloth swim diapers work? Both cloth swim diapers and disposable swim diapers are made to only keep in solid waste. This is the reason that disposable diapers don’t swell up like a normal disposable diaper would in the water – they’re not holding any liquids. So, other than the fact that you wash the cloth version, they’re basically the same thing! 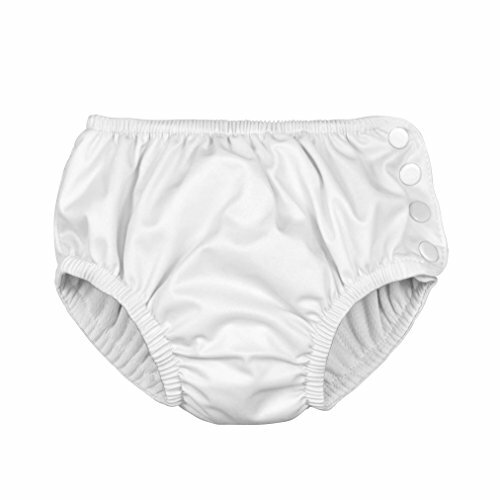 There are a few different brands and types of cloth swim diapers. Most are sized, to give the best and trimmest fit on babies, which is what you need since you’ll most often be putting them under swimsuits. Some are pull-on style and some have aplix or snap closures like Bummis Swimmis. An 12 count of disposable swim diapers cost over $14 on Amazon. Most cloth swim diapers cost anywhere from $10-$16 and can be reused again and again. Some people say that you can use any cloth diaper shell or pocket as a swim diaper. All you have to do is just remove the inserts since you don’t want them to absorb any water. If you’re doing this, it’s recommended that you don’t use that same diaper cover within in your regular stash, instead using it only as a swim diaper. The chlorine in water can cause de-lamination of the diaper. 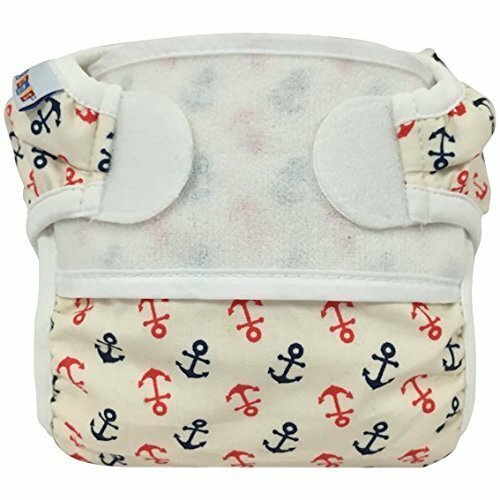 If you already have a cloth diaper that has de-laminated, it could easily be used as long as you get a good, tight fit around your baby to hold solids in. I personally love cloth swim diapers and the cute colors and prints that are available. Every time I put one on Moreaya I’m reminded of the fact that I don’t have to buy the expensive disposables at the store! If you’re curious about cloth, I would definitely recommend that you start this route – it’s an easy step in a green direction for your family and baby’s bum! I share my favorite swim diapers and reviews of some of the most popular brands in my Cloth Diaper Review Directory. 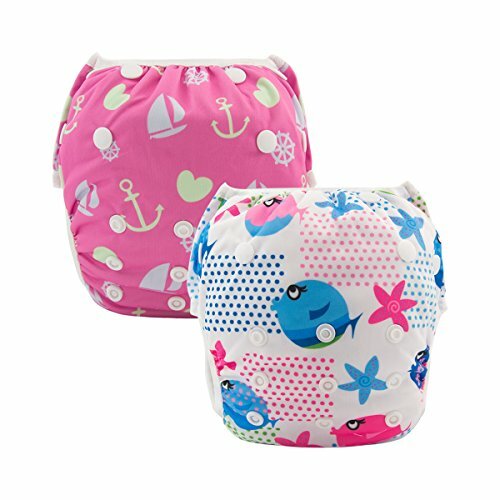 Cloth swim diapers are becoming more popular and readily available. They’re now being sold in Target and Walmart stores which, I think, is wonderful. 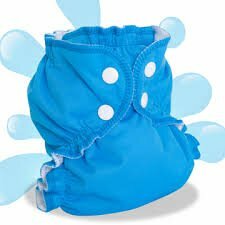 Although I love to support WAHMS, I do appreciate the fact that anyone can easily purchase a reusable option for their child’s swim diaper. I think our swim diaper just came from One Step Ahead; it's not from any of our favorite major cloth diaper manufacturers.